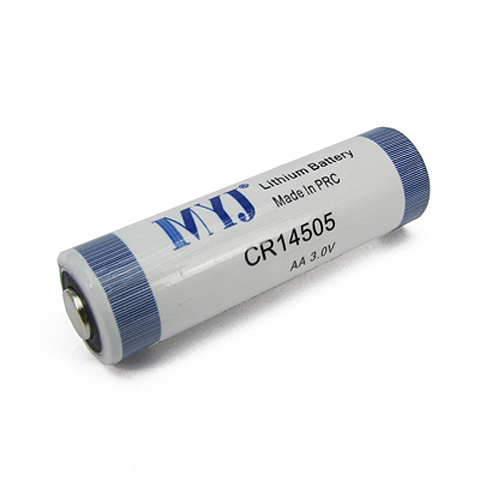 CR14505 lithium battery (3V) for replace battery of KA-SCOPE-14. 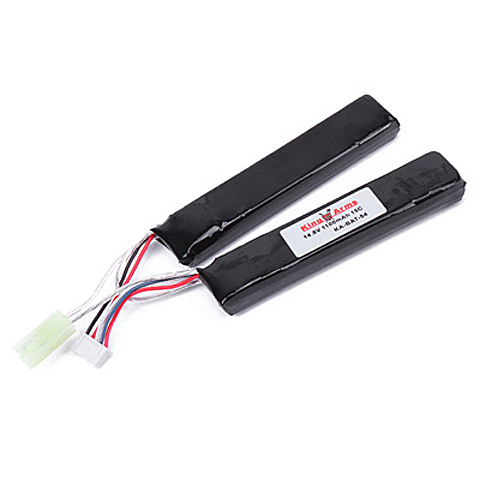 11.1V 2000mAh 15C Lithium Battery. Equipped with low resistance silver wires. This helps to reduce energy loss and create efficient energy transfer, which improves the rate of fire and fun! 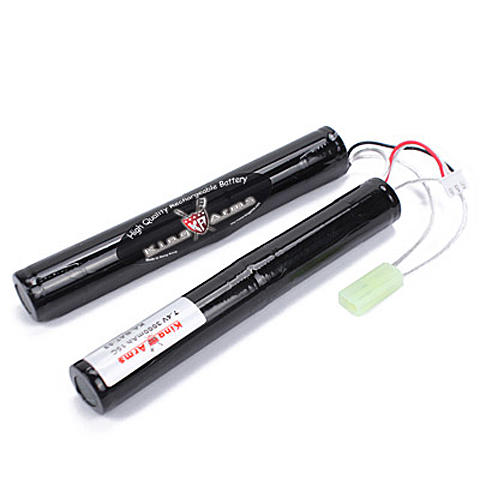 A high quality battery recommend for all professional airsoft players. 11.1V 2200mAh 15C Lithium Battery. 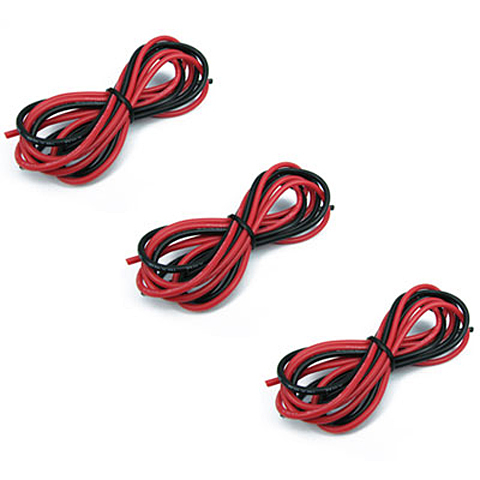 Equipped with low resistance silver wires. This helps to reduce energy loss and create efficient energy transfer, which improves the rate of fire and fun! 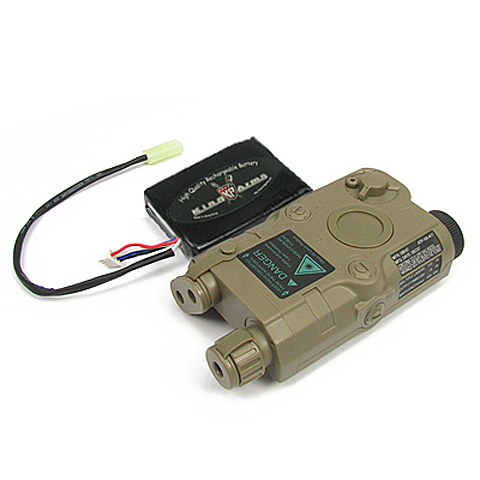 A high quality battery recommend for all professional airsoft players. 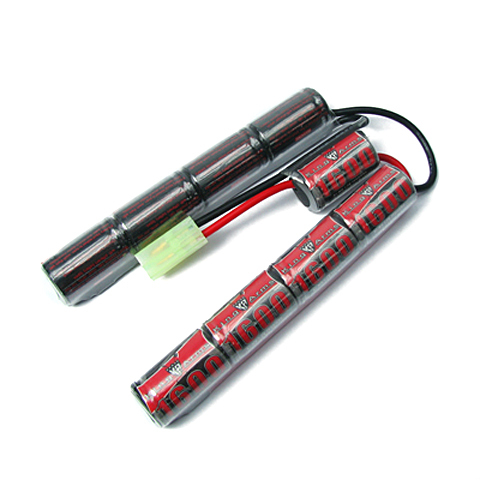 11.1V 3300mAh 20C Lithium Battery. 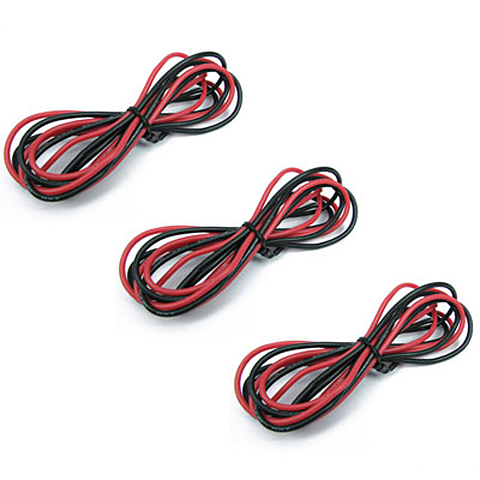 Equipped with low resistance silver wires. 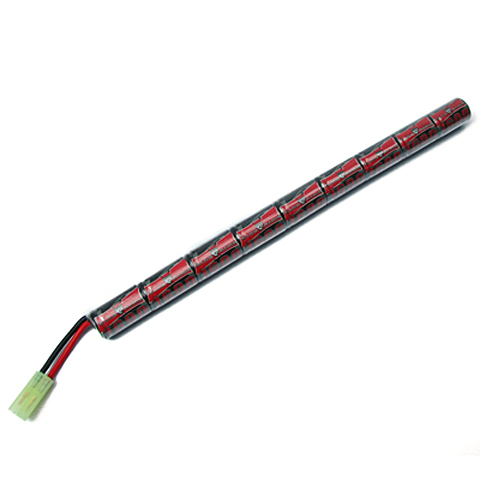 This helps to reduce energy loss and create efficient energy transfer, which improves the rate of fire and fun! 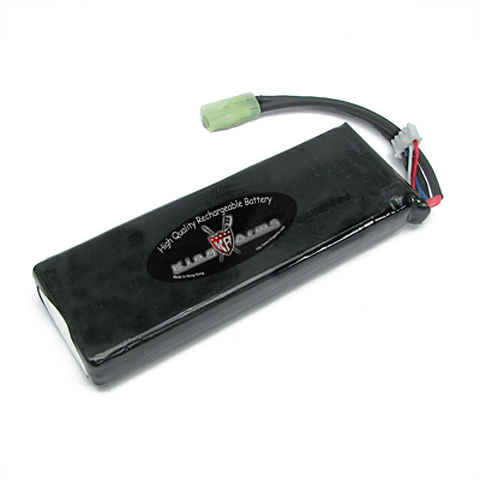 A high quality battery recommend for all professional Airsoft players. 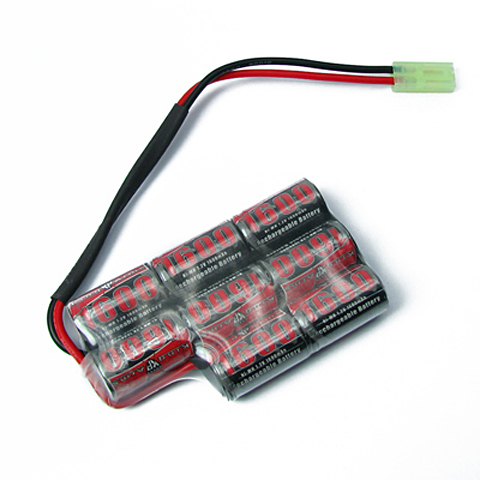 11.1V 4400mAh 20C Lithium Battery. Equipped with low resistance silver wires. This helps to reduce energy loss and create efficient energy transfer, which improves the rate of fire and fun! 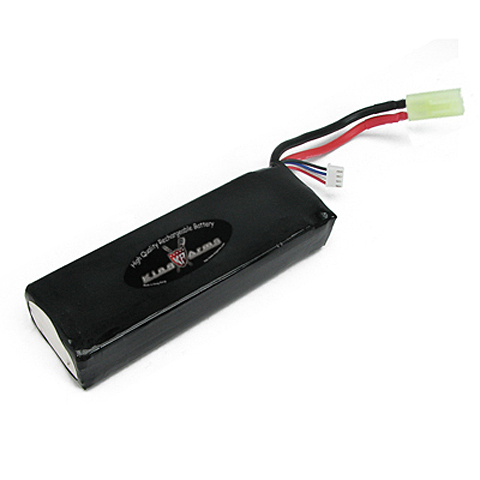 A high quality battery recommend for all professional airsoft players. 11.1V 1100mAh 15C Lithium Battery. Equipped with low resistance silver wires. This helps to reduce energy loss and create efficient energy transfer, which improves the rate of fire and fun! 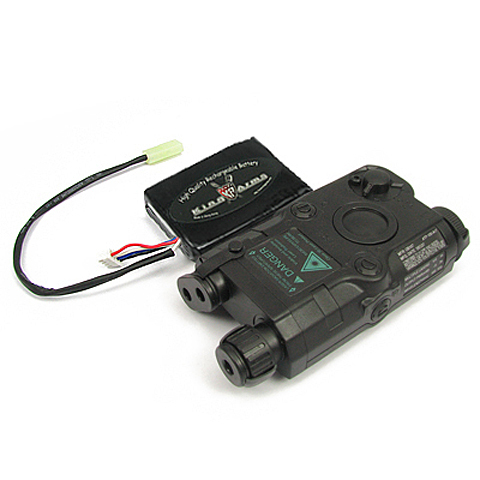 A high quality battery recommend for all professional airsoft players. 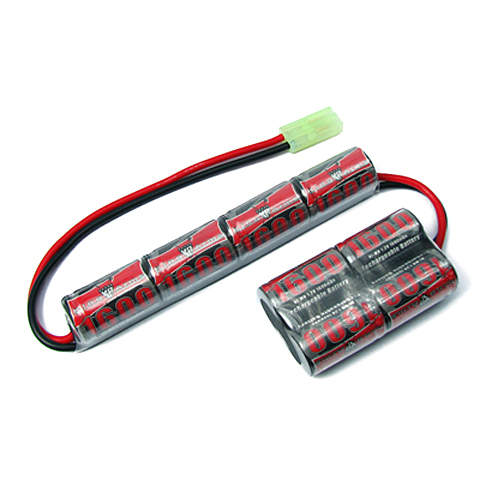 9.6V 1200mAh 25C AK Type Lithium Battery. 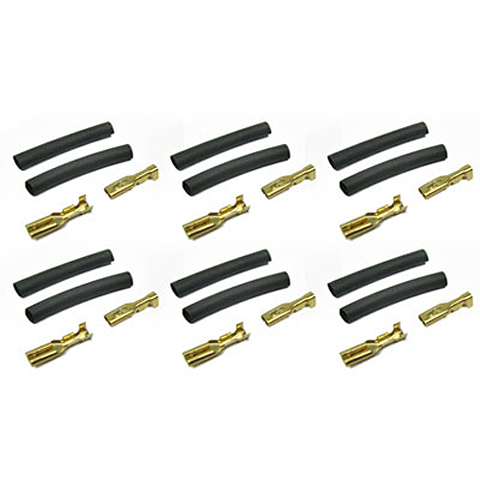 Equipped with low resistance silver wires. This helps to reduce energy loss and create efficient energy transfer, which improves the rate of fire and fun! 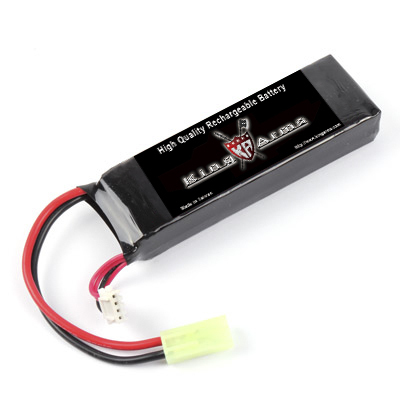 A high quality battery recommend for all professional airsoft players. 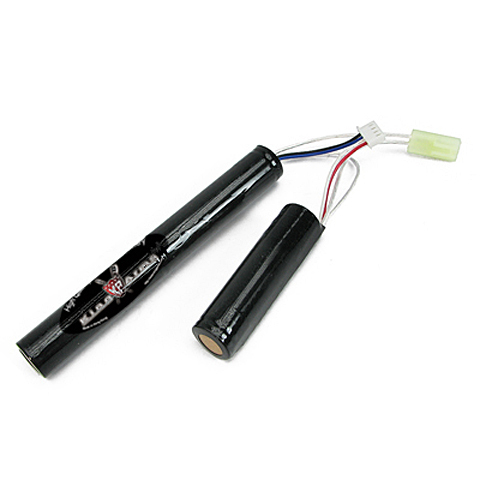 11.1V 1450mAh 15C AN/PEQ-15 Type Lithium Battery. 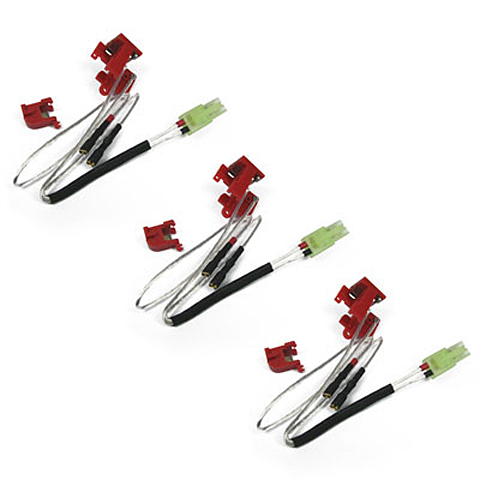 Equipped with low resistance silver wires. This helps to reduce energy loss and create efficient energy transfer, which improves the rate of fire and fun! 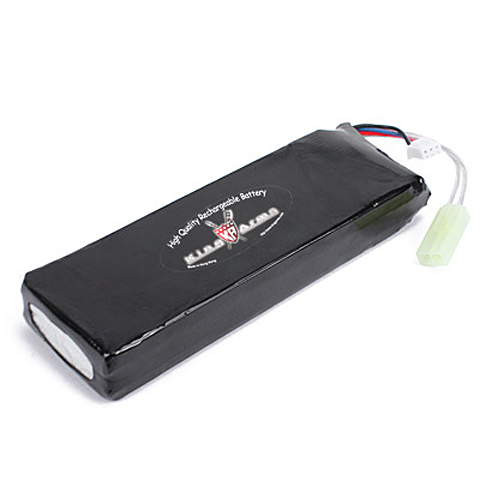 A high quality battery recommend for all professional airsoft players. 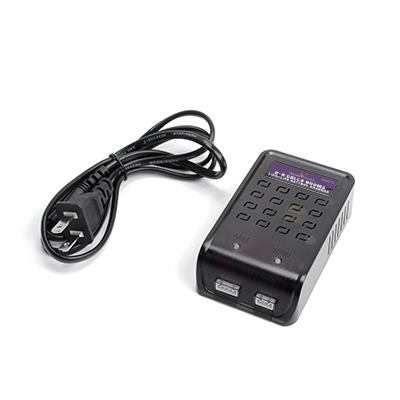 12.6V 900mA Li-Poly/Li-ion battery charger package include Charger & Balance charging chip This charger is designed to use on King Arms lithium battery only. Balance charging chip and convertor plug are included. Balance charging chip required to use when charging the battery. 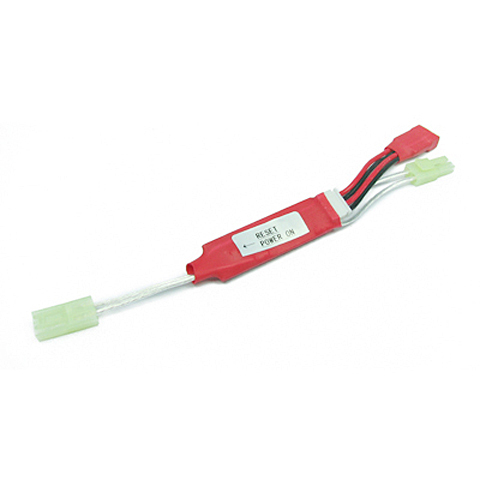 It can prevent 11.1V Li-ion or Li-polymer battery from over-charging current more than 5A. 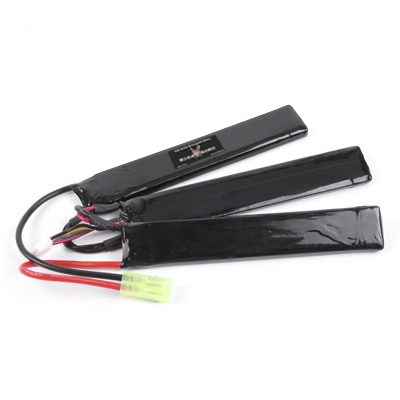 11.1V 1100mAh 15C Triplet Type Lithium Battery. Equipped with low resistance silver wires. This helps to reduce energy loss and create efficient energy transfer, which improves the rate of fire and fun! 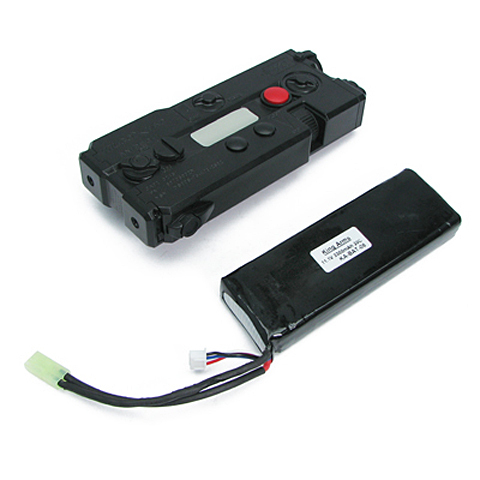 A high quality battery recommend for all professional airsoft players. 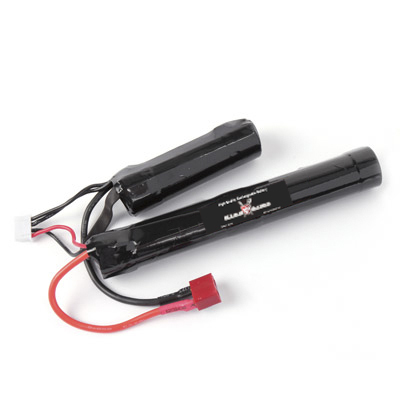 11.1V 1600mAh 12C Twins Type Lithium Battery. Equipped with low resistance silver wires. This helps to reduce energy loss and create efficient energy transfer, which improves the rate of fire and fun! 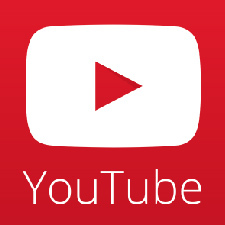 A high quality battery recommend for all professional airsoft players. 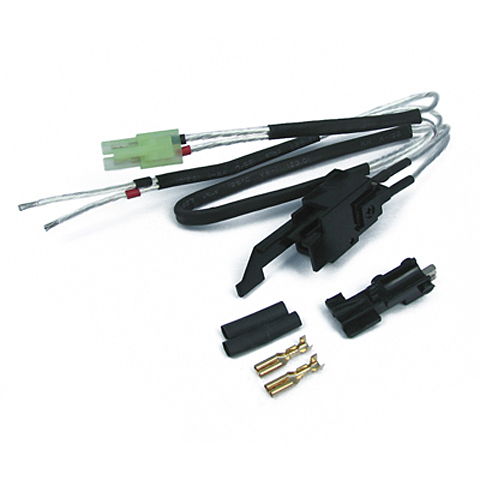 Low resistance silver cord and switch set. Suitable for Ver.2 Gearbox (Front Wiring). 3 pieces bulk pack. 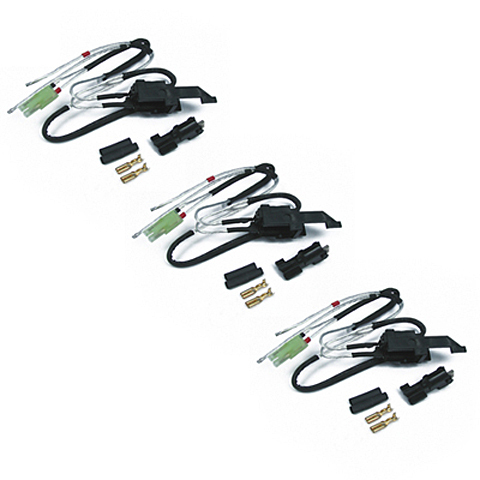 Low resistance silver cord and switch set. Suitable for Ver.2 Gearbox (Rear Wiring). 3 pieces bulk pack. 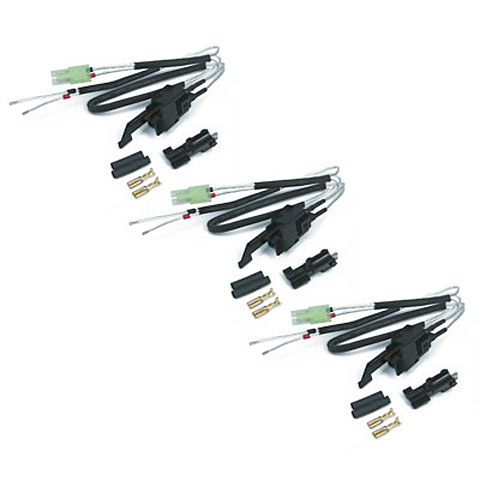 Low resistance silver cord and switch set. Suitable for Ver.3 Gearbox (Rear Wiring). 3 pieces bulk pack. 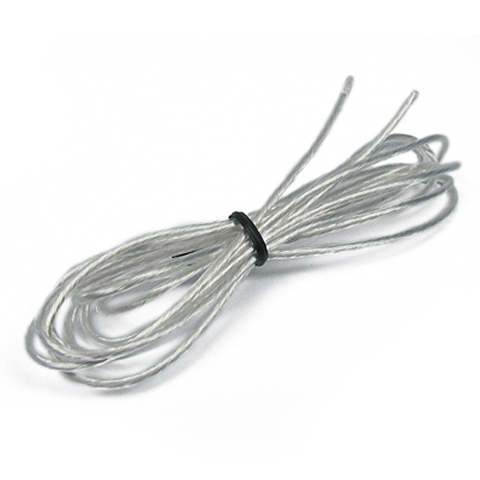 Low resistance silver cord and switch set. Suitable for Ver.3 Gearbox (Front Wiring). 3 pieces bulk pack. 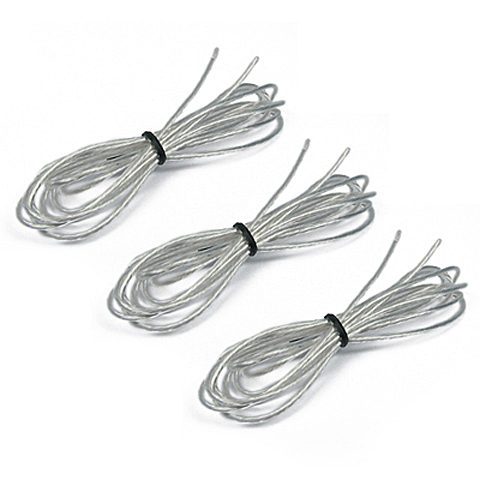 Low resistance silver cord and switch set. 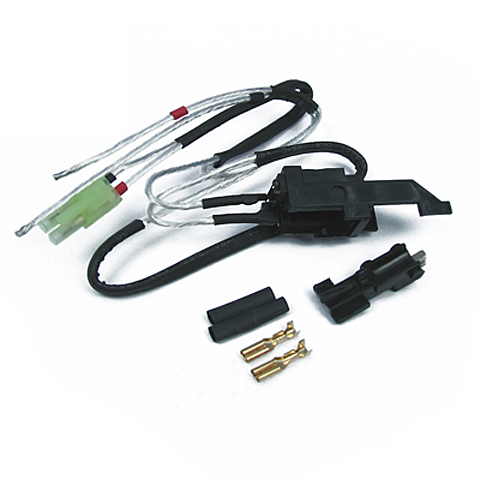 Suitable for G36 Gearbox (Front Wiring). 3 pieces bulk pack. 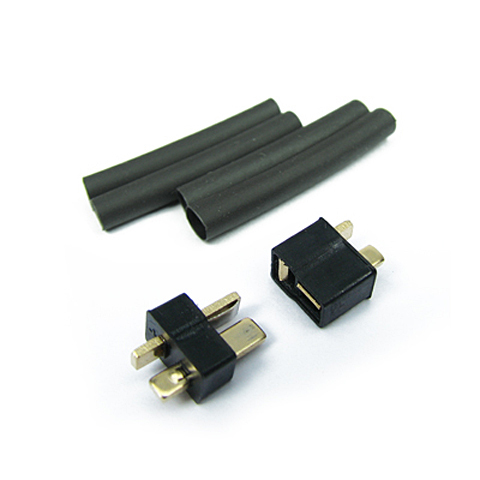 Each pack contains 2 meters long of high conductivity, low resistance cord. 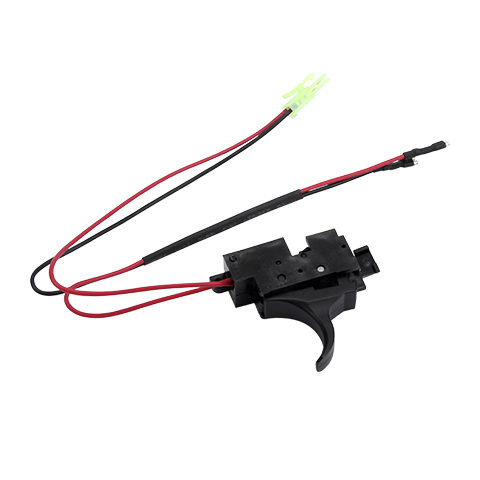 Suitable for AEG or battery. 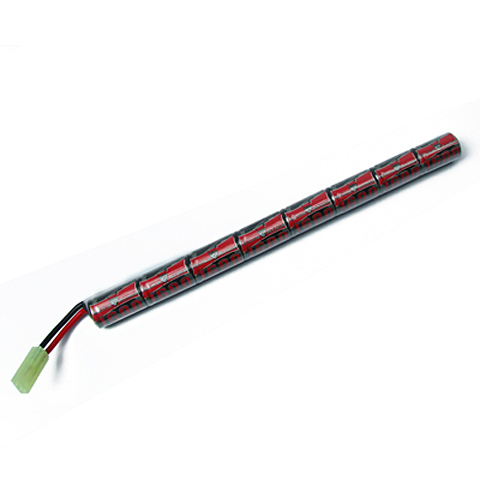 Each pack contains 2 meters long of high conductivity, low resistance cord. 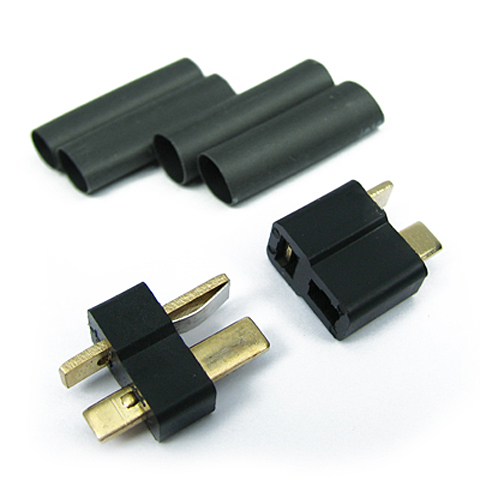 Suitable for AEG or battery. 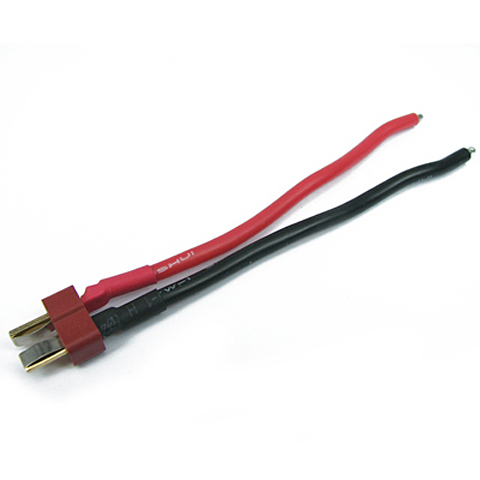 6 meters cords bulk pack. 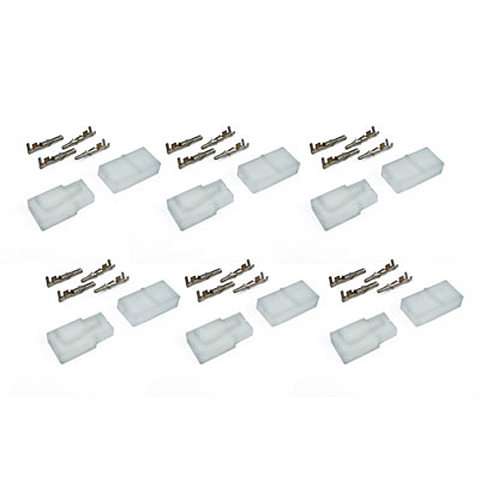 Motor Connector Plugs Set comes with shrink wrap. 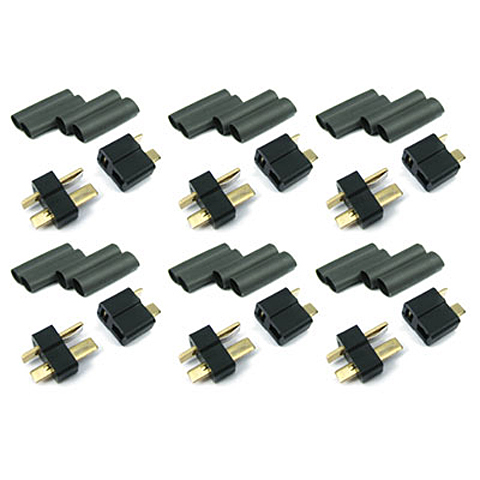 Motor Connector Plugs Set comes with shrink wrap. 6 pieces bulk pack. 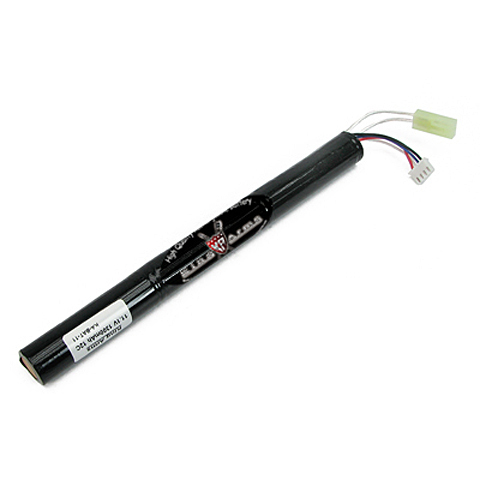 King Arms high performance 1600mAh 8.4V Stick Type Battery. 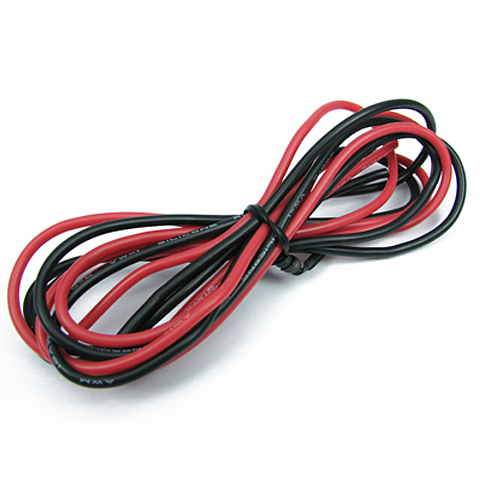 Top quality wires are used to ensure there will be enough current-carrying capacity and less resistance to the current flow. It can be store in - King Arms Galil SAR / AR / MAR / ARM (KA-AG-15~18) - King Arms AK47S / X47 / AK74 Tapco Style Folding Stock (KA-AG-40 / 42 / 43 / 47) and other AKS AEG. 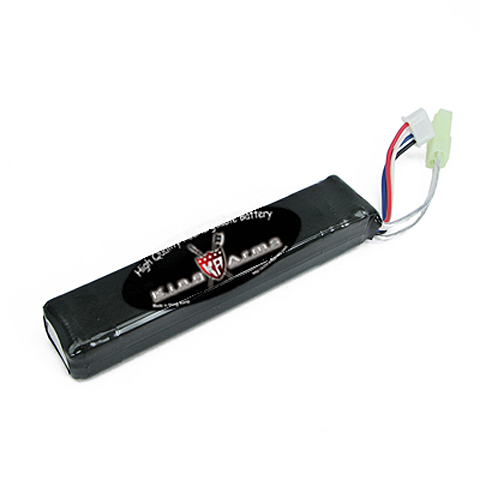 King Arms high performance 1600mAh 9.6V Stick Type Battery. 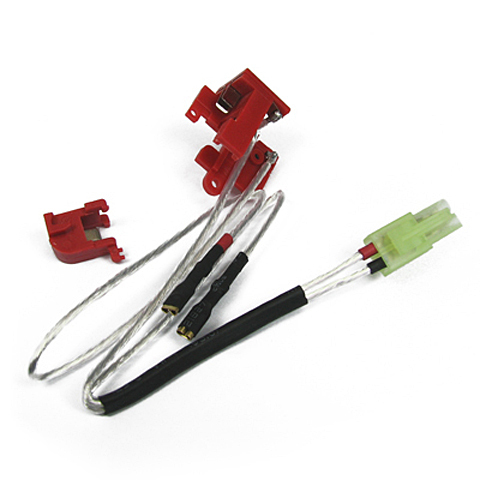 Top quality wires are used to ensure there will be enough current-carrying capacity and less resistance to the current flow. It can be store in - King Arms Galil SAR / AR / MAR / ARM (KA-AG-15~18) - King Arms AK47S / X47 / AK74 Tapco Style Folding Stock (KA-AG-40 / 42 / 43 / 47) and other AKS AEG. 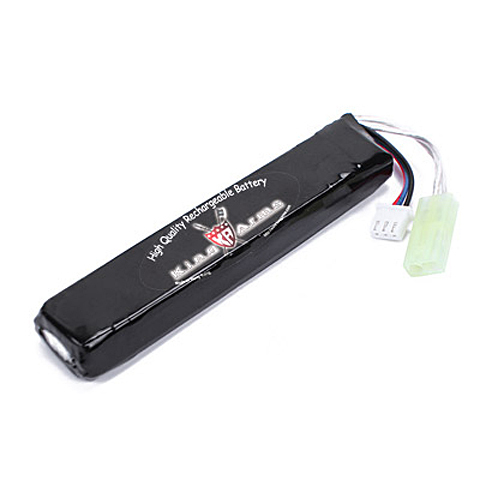 King Arms high performance 1600mAh 10.8V Stick Type Battery. 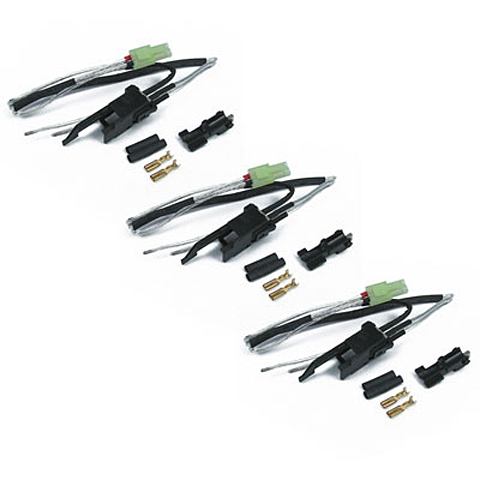 Top quality wires are used to ensure there will be enough current-carrying capacity and less resistance to the current flow. It can be store in - King Arms Galil SAR / AR / MAR / ARM (KA-AG-15~18) - King Arms AK47S / X47 / AK74 Tapco Style Folding Stock (KA-AG-40 / 42 / 43 / 47) and other AKS AEG. 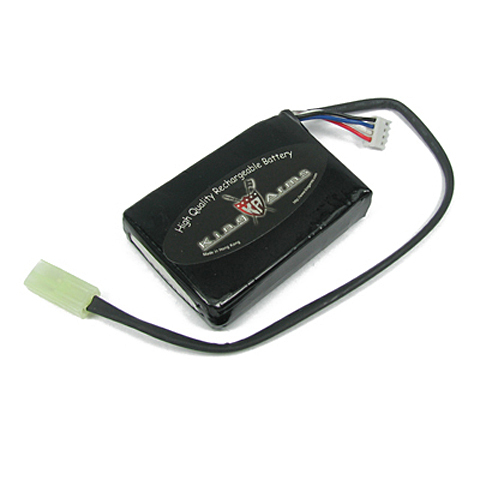 King Arms high performance 1600mAh 9.6V Crane Stock Type Battery. 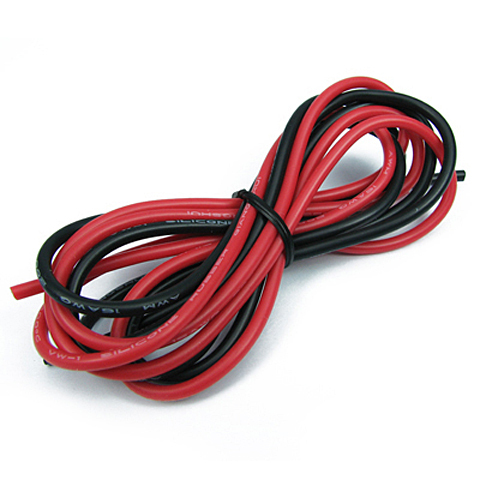 Top quality wires are used to ensure there will be enough current-carrying capacity and less resistance to the current flow. It can be store in - King Arms Special Force Crane Stock 2008 Ver. - Carbine MOD Stock - M4 Clubfoot Modstock - M4 Enhanced Carbine Modstock. 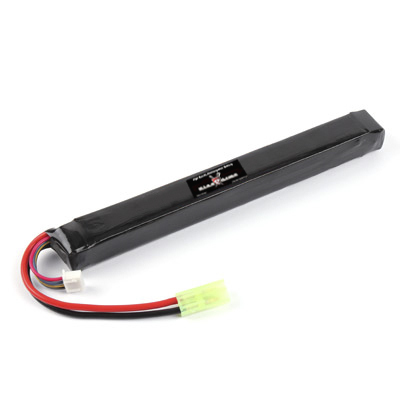 King Arms high performance 1600mAh 10.8V M4 Crane Stock Type Battery. 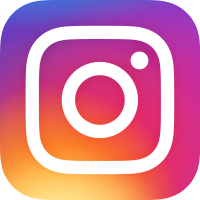 Top quality wires are used to ensure there will be enough current-carrying capacity and less resistance to the current flow. It can be store in - King Arms Special Force Crane Stock 2008 Ver. - Carbine MOD Stock - M4 Clubfoot Modstock - M4 Enhanced Carbine Modstock. 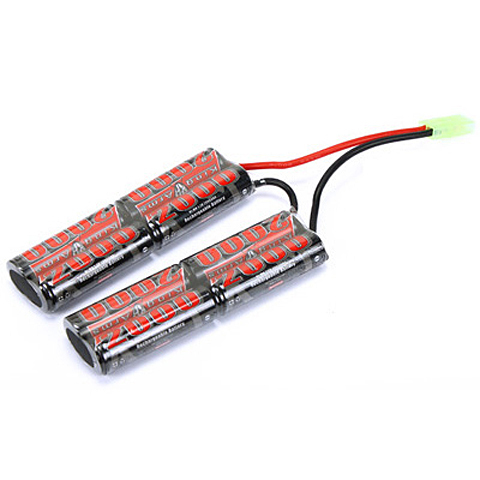 7.4V 1100mAh 15C Twins Type Lithium Battery. 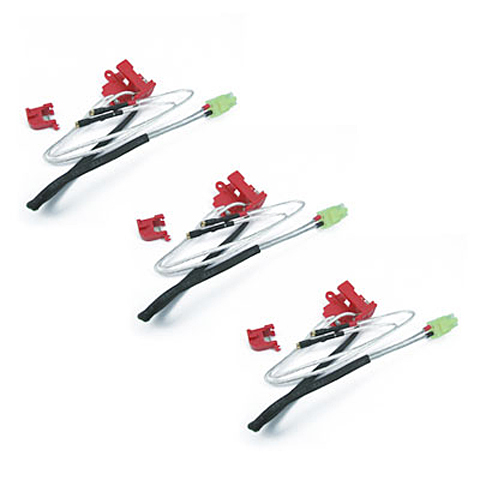 Equipped with low resistance silver wires. This helps to reduce energy loss and create efficient energy transfer, which improves the rate of fire and fun! 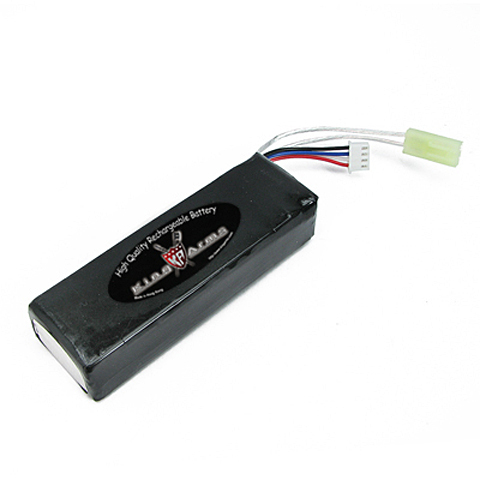 A high quality battery recommend for all professional airsoft players. 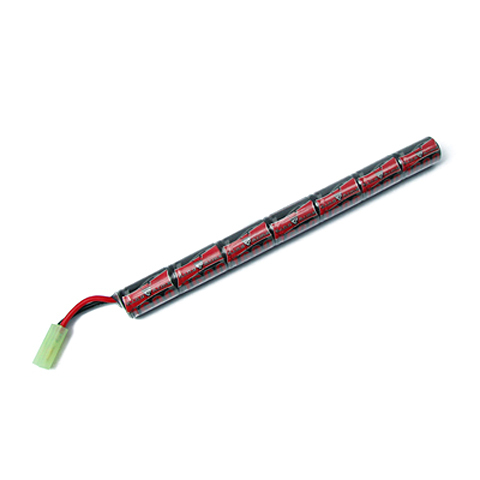 7.4V 1100mAh 15C Lithium Battery. 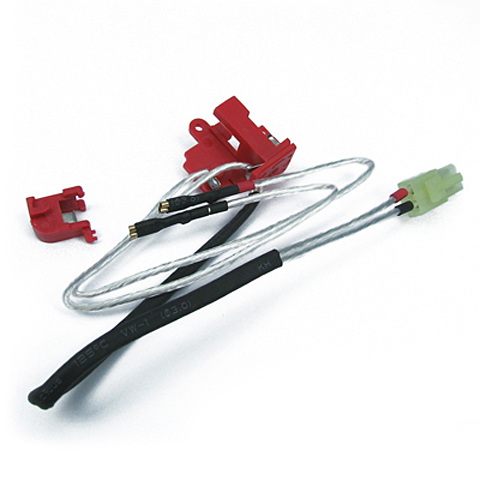 Equipped with low resistance silver wires. This helps to reduce energy loss and create efficient energy transfer, which improves the rate of fire and fun! 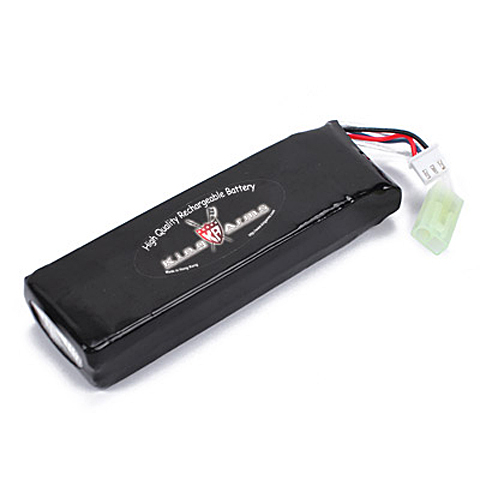 A high quality battery recommend for all professional airsoft players. 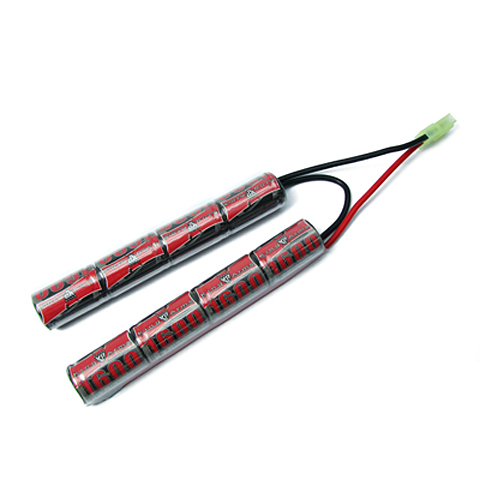 7.4V 2500mAh 20C Lithium Battery. Equipped with low resistance silver wires. This helps to reduce energy loss and create efficient energy transfer, which improves the rate of fire and fun! 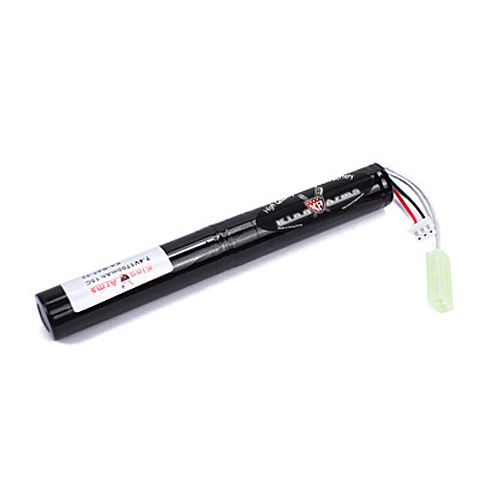 A high quality battery recommend for all professional airsoft players. 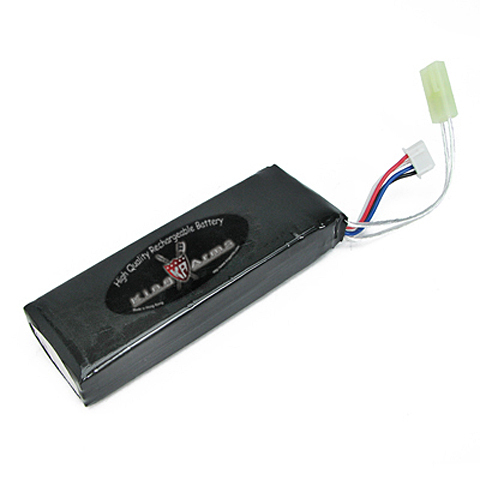 7.4V 4650mAh 20C Lithium Battery. 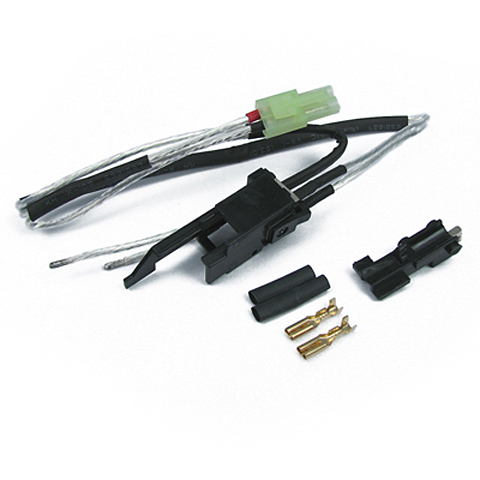 Equipped with low resistance silver wires. This helps to reduce energy loss and create efficient energy transfer, which improves the rate of fire and fun! 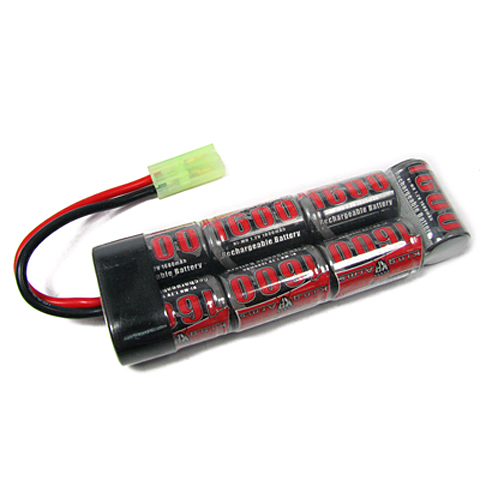 A high quality battery recommend for all professional airsoft players. 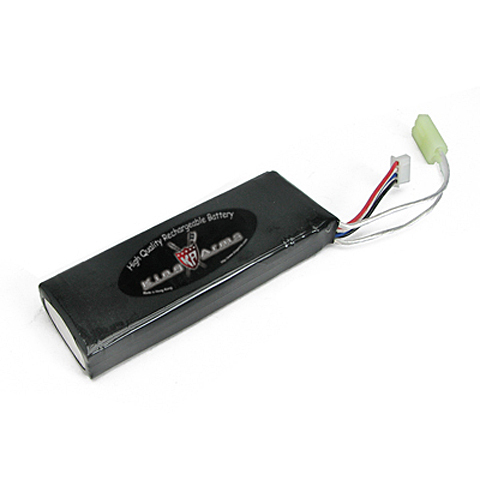 7.4V 1700mAh 15C AK Type Lithium Battery. 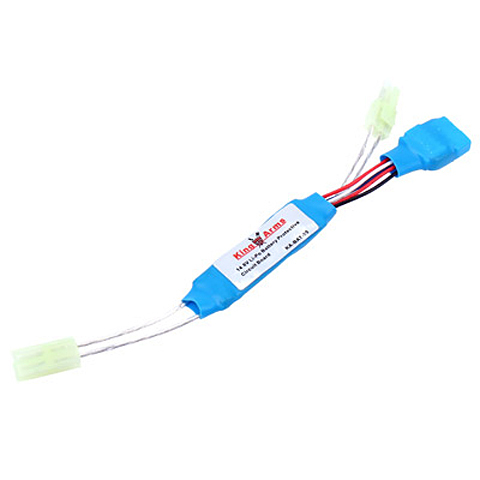 Equipped with low resistance silver wires. This helps to reduce energy loss and create efficient energy transfer, Lighter Weight and Smaller Size than the Ni-CD/Ni-MH Battery, which improves the rate of fire and fun! 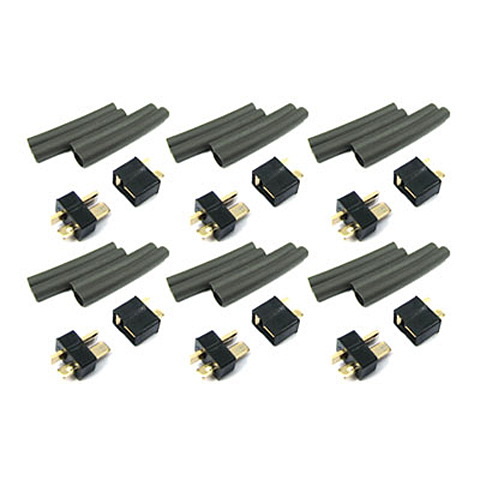 A high quality battery recommend for all professional airsoft players. 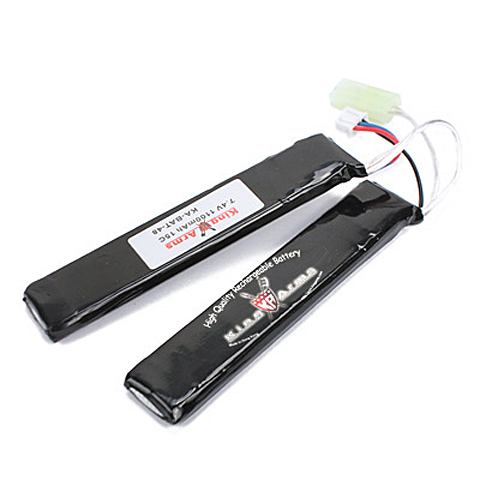 7.4V 3000mAh 15C Twins Type Lithium Battery. Equipped with low resistance silver wires. 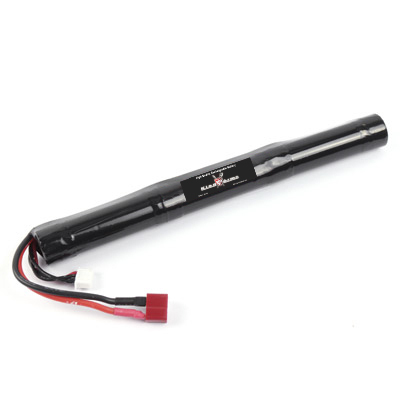 This helps to reduce energy loss and create efficient energy transfer, Lighter Weight and Smaller Size than the Ni-CD/Ni-MH Battery, which improves the rate of fire and fun! 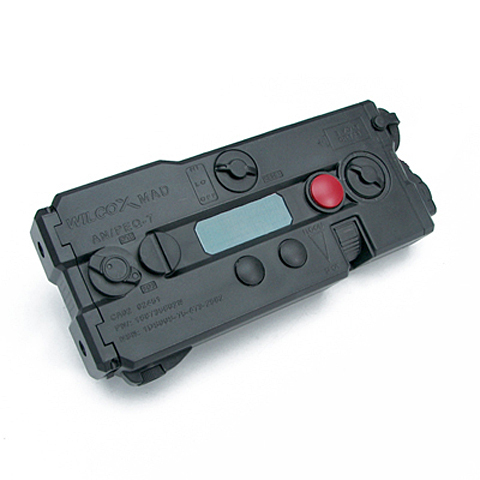 A high quality battery recommend for all professional airsoft players. AN/PEQ IIa style battery case. Can be mounted on standard 20mm rail. AN/PEQ IIa style battery case. Can be mounted on standard 20mm rail. 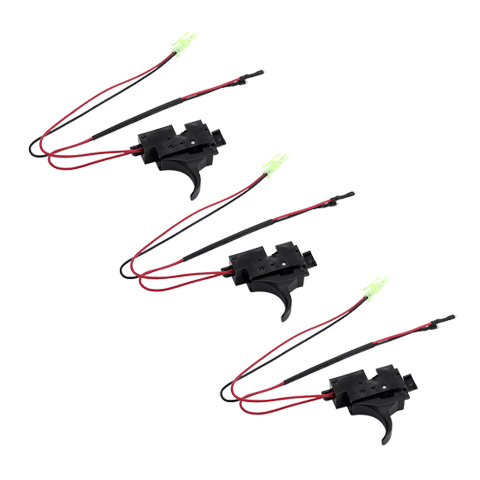 This package comes with a rechargeable 10.8V 1500mA battery. AN/PEQ IIa style battery case. Can be mounted on standard 20mm rail. 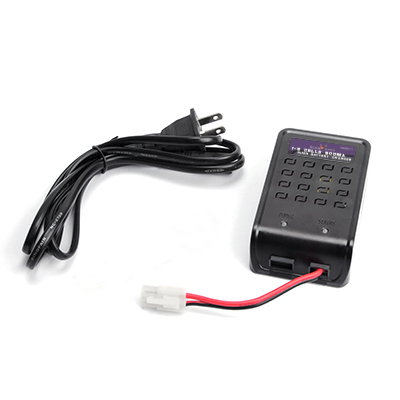 This package comes with a rechargeable 8.4V 1700mA battery. AN/PEQ IIa battery case. Can be mounted on standard 20mm rail. 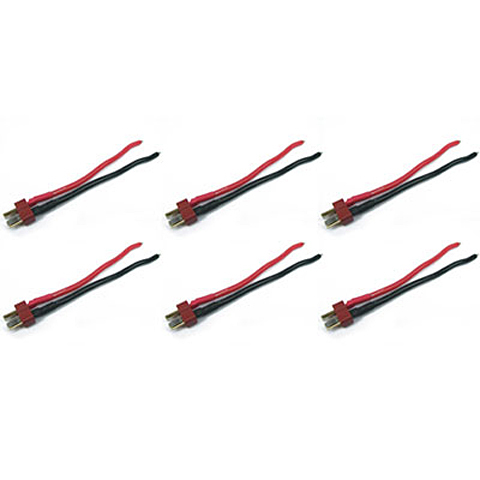 This package comes with a rechargeable 9.6V 1700mA battery. 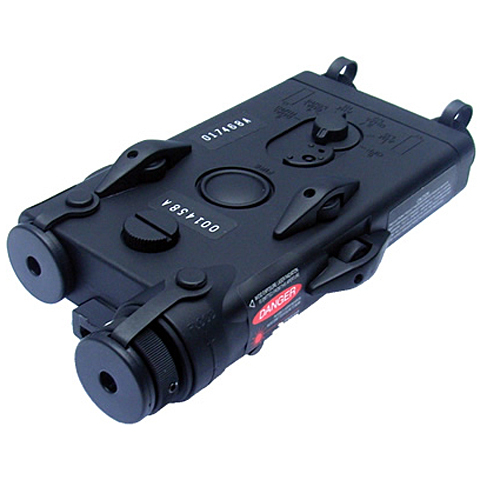 AN/PEQII Battery case equipped with red Laser head. Can be mounted on standard 20mm rail. 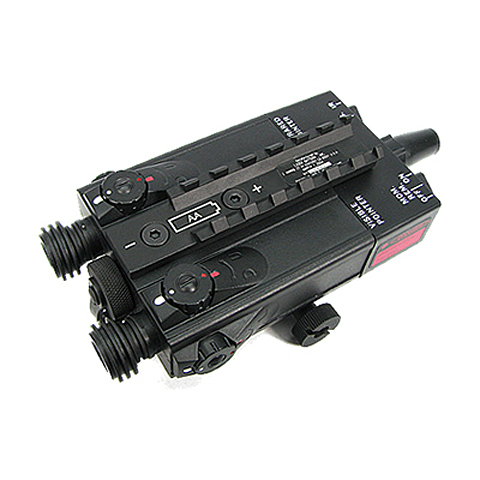 Laser operated by a remote pressure switch. 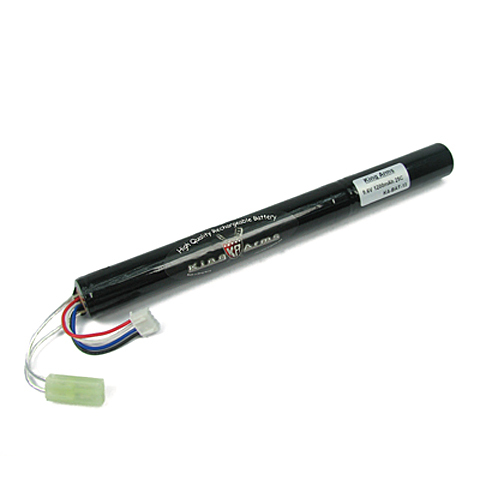 AN/PEQII battery can store up to 1700mA 8.4V after laser head installed. 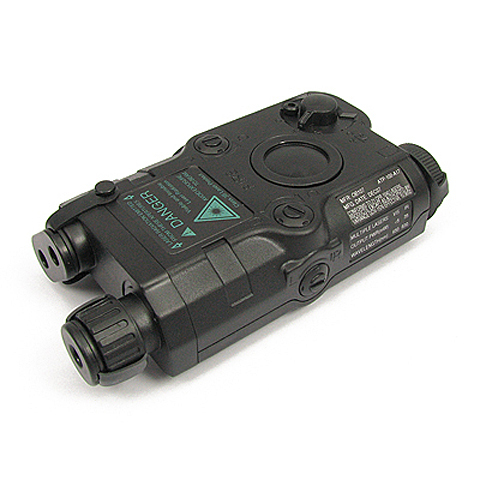 The laser beam position can be adjusted. 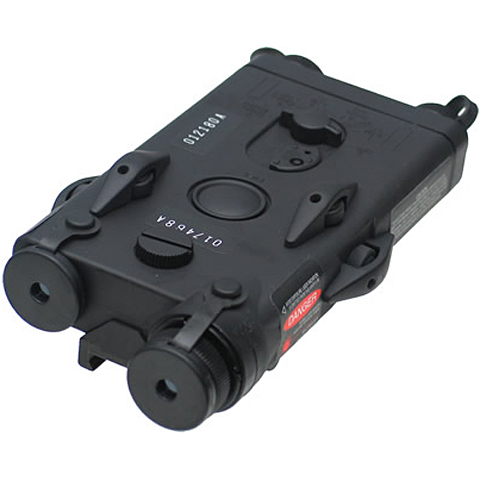 AN/PEQII Battery case equipped with red Laser head. Can be mounted on standard 20mm rail. Laser operated by a remote pressure switch. AN/PEQII battery can store up to 1700mA 8.4V after laser head installed. 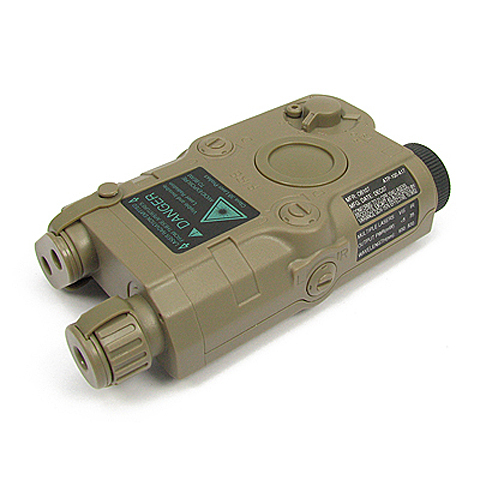 The laser beam position is adjustable. 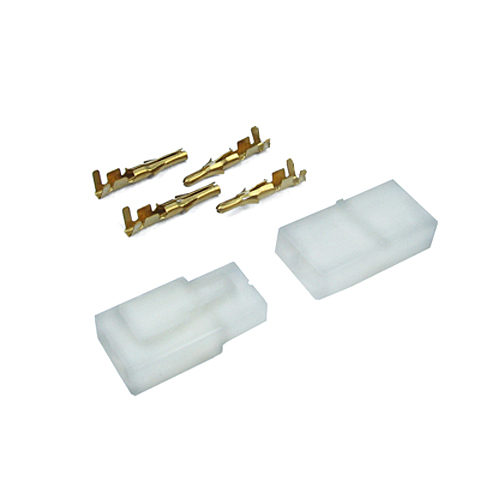 This package comes with 8.4V 1700mA battery. DBAL-I style battery case. 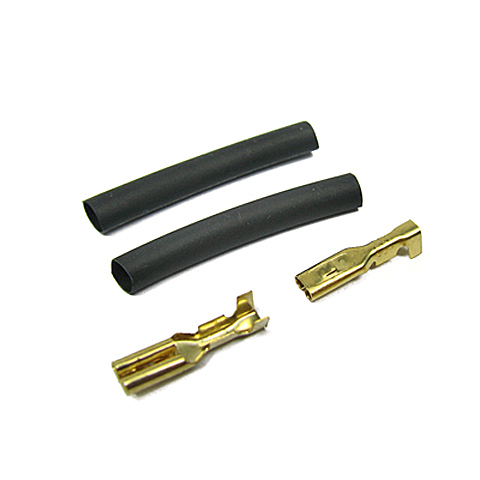 20mm top rail for mounting accessories. Will fit standard 20mm rail. 14.8V 1100mAh 15C Lithium Battery. 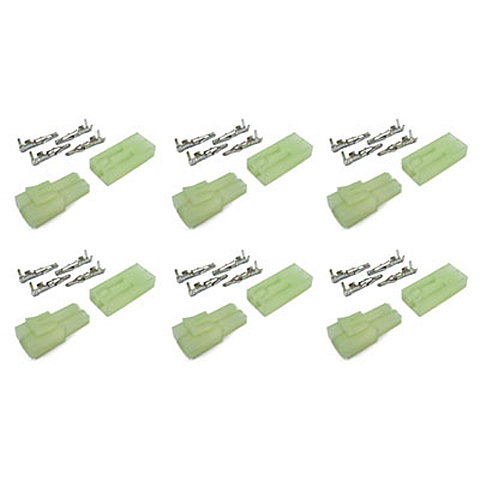 Equipped with low resistance silver wires. 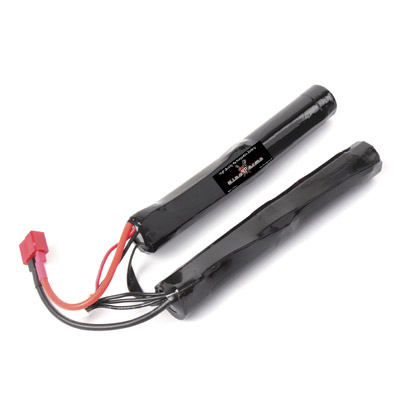 This helps to reduce energy loss and create efficient energy transfer, Lighter Weight and Smaller Size than the Ni-CD/Ni-MH Battery, which improves the rate of fire and fun! 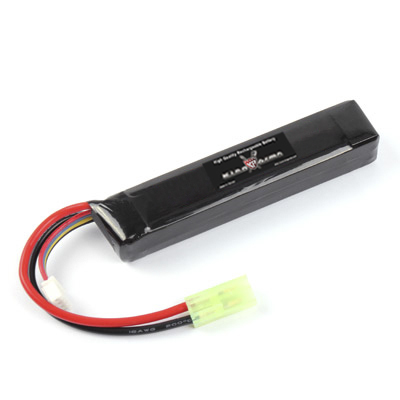 A high quality battery recommend for all professional airsoft players. 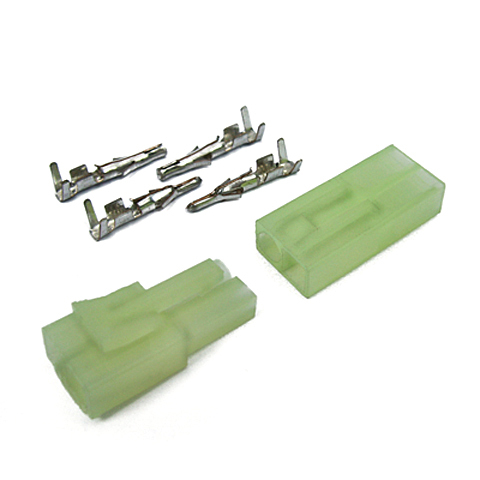 Standard switcher replacement parts for KA M1A1 AEG/EBB. Modification may be needed and technical support is available for installation. 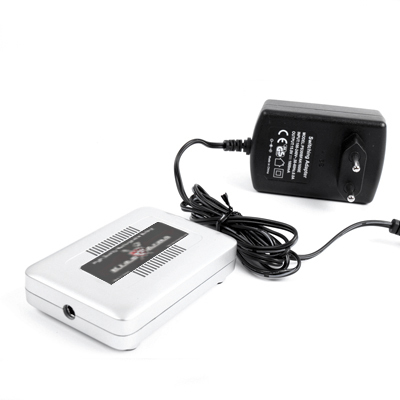 This charger is designed for LiPo/LiFe battery only. Charger cable included. 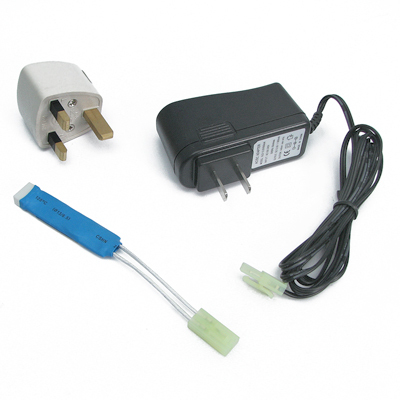 This charger is designed for NiMH battery only. Charger cable included. 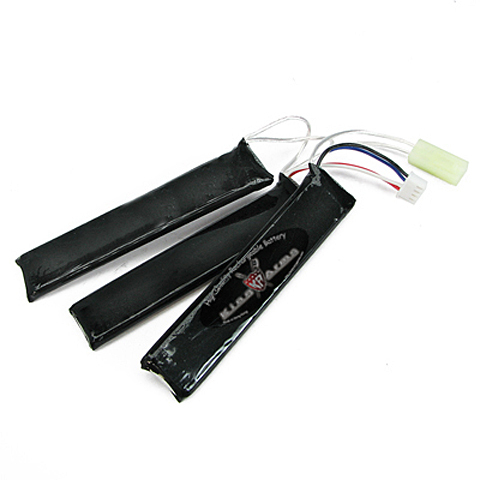 9.9V 1150mAh 15C​ AK Type Lithium Battery. Equipped with low resistance silver wires. This helps to reduce energy loss and create efficient energy transfer, Lighter Weight and Smaller Size than the Ni-CD/Ni-MH Battery, which improves the rate of fire and fun! 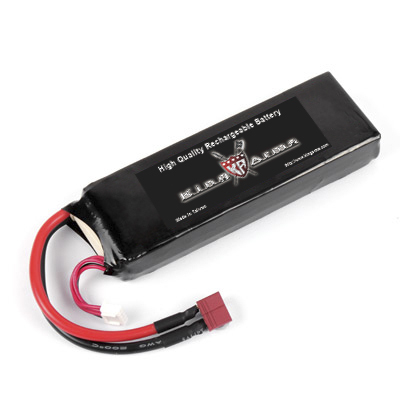 A high quality battery recommend for all professional airsoft players.